Small items are delivered within Australia via Australia Post Registered Post or Parcel Post Plus, the Australian Government postal service. We will notify you of your Australia Post tracking number after you order has been processed. Transit time for post in Australia is 1-7 working days depending on destination. Large or bulky items are delivered by various Australian courier companies, on line tracking and SMS notifications are available with these services. The Courier services used are Road Express, transit times can vary according to destinations however 5-7 days is the normal range. Courier services will require a signature on delivery so a business address is aways preferred. We can accept your written "Authority to Leave Without Signature" should you choose, please contact us for further details. 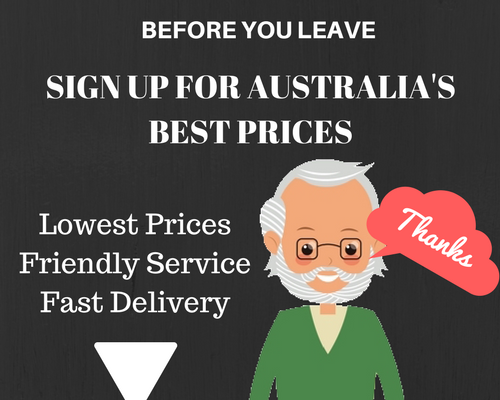 ORDERS from customers overseas to Australian or International destinations are welcome! All export orders to international destinations (including Christmas, Cocos and Norfolk Islands) are Australian GST tax FREE. Contact us for delivery options and cost.